Our showroom is located at 4523 Niu Street (across from Bank of Hawaii in Old Kapaa Town). Store hours are M-F 10:00 to 4:00 pm. 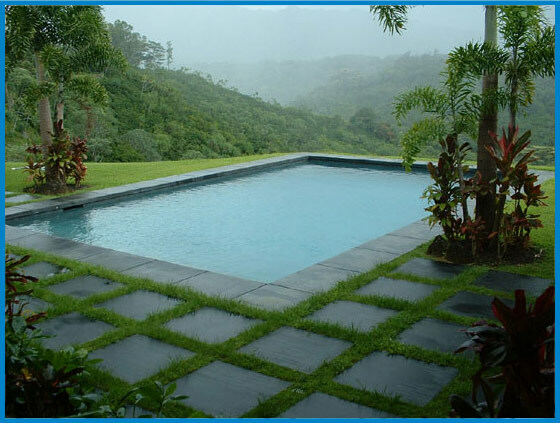 We carry a full line of swimming pool & spa care products, including chlorine, bromine, and water clarifiers. We also stock all the equipment you need to clean and maintain your own pool & spa. 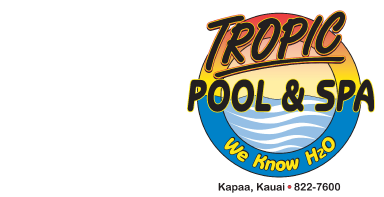 Tropic Pool & Spa has earned the reputation and respect to be known as Kauai's premier pool & spa contractor. We pride ourselves on our top quality craftsmanship and sharp eye for detail. We take every project as if it were our personal installation and deliver a product our competitors envy. We are a complete service. We pride ourselves on delivering a turnkey installation. All you do is add the water! From a simple cocktail pool for the family to a breathtaking negative edge, Tropic Pool & Spa will make your dreams come true.